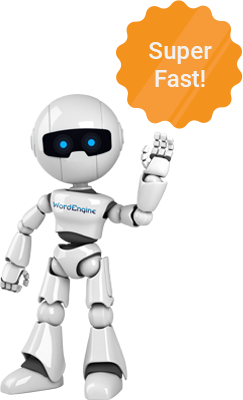 University research confirms that WordEngine is the fastest way to memorize thousands of new vocabulary words and spoken expressions. Top schools around the world depend on WordEngine to helpstudents quickly score higher on TOEIC®, TOEFL®, and IELTS. DGM Globe Trotter T&E Inc. Select any course title to see its description. Sign up now for your 7 day FREE trial now! Save us to your home screen for easy access! Select your browser type to see how to set it up. This course teaches all of the words that occur frequently in all sections of a TOEIC* test. As you study, the most frequently occurring words are taught to you first. To prepare this course we scanned and identified the words and phrasal verbs that cover 99% of 1,250 different TOEIC* tests. This course is suitable for all levels from beginner to advanced because the patented V-Check* adjusts it to meet your personal requirements. After learning all of these words we recommend you continue studying with General English. This course teaches all of the words that occur frequently in all sections of a TOEFL* test. As you study, the most frequently occurring words are taught to you first. To prepare this course we scanned and identified the words and phrasal verbs that cover 99% of 1,300 different TOEFL* tests. This course teaches all of the words that occur frequently in all sections of an IELTS* test. As you study, the most frequently occurring words are taught to you first. To prepare this course we scanned and identified the words and phrasal verbs that cover 99% of 100 different IELTS* tests. This course teaches all of the words that occur frequently in all sections of EIKEN* up to Grade 2. As you study, the most frequently occurring words are taught to you first. To prepare this course we scanned and identified the words and phrasal verbs that cover 99% of all publicly available EIKEN* tests up to Grade 2. After learning all of these words we recommend you continue studying with General English to prepare for EIKEN Pre-1 and Grade 1. This course teaches all of the words that occur frequently in top Japanese University Entrance Exams. As you study, the most frequently occurring words are taught to you first. To prepare this course we scanned and identified the words and phrasal verbs that cover 99% of all published CENTER exams plus 330 exams from the following universities: Tokyo, Kyoto, Hitotsubashi, Waseda, Keio, Jochi, Meiji, Aoyama Gakuin, Rikkyo, Chuo, and Hosei. The hensachi scores that we provide are based on national averages. This course teaches all of the words that occur frequently in Business English. As you study, the most frequently occurring words are taught to you first. To prepare this course we scanned and identified the words and phrasal verbs that cover 99% of 50-million total words from business websites, magazines, newspapers, and MBA textbooks. This course improves your ability to understand and use 200 common expressions occurring in daily conversation. To prepare this course we cross referenced the functions and examples that occur most often in popular ESL/EFL conversation textbooks. Unlike the vocabulary courses, V-Check* does not adjust this course to your ability. At the start, the 200 spoken expressions will be presented in a logical sequence. Over time the sequence will change because incorrect items will re-appear sooner. This course improves your ability to understand and use 100 common expressions occurring in group presentations. To prepare this course we cross referenced the functions and examples that occur most often in popular ESP presentation textbooks. Unlike the vocabulary courses, V-Check* does not adjust this course to your ability. At the start, the 100 spoken expressions will be presented in a logical sequence. Over time the sequence will change because incorrect items will re-appear sooner. This course improves your ability to understand and use 100 common expressions occurring in internal business meetings. To prepare this course we cross referenced the functions and examples that occur most often in popular ESP business meetings textbooks. This course improves your ability to understand and use 100 common expressions occurring in business negotiations. To prepare this course we cross referenced the functions and examples that occur most often in popular ESP business negotiations textbooks. This course improves your ability to understand and use 100 common expressions that occur when speaking to people who are visiting your country. To prepare this course we cross referenced the functions and examples that occur most often in popular ESP hospitality textbooks. This course improves your ability to hear, understand, and pronounce the 25 most difficult sounds of the English language. To prepare this course we analyzed millions of sound recognition tasks in our database to identify the most difficult words to hear correctly. The final list of 100 words was then confirmed by senior EFL teachers and speech pathologists. Unlike the vocabulary courses, V-Check* does not adjust this course to your ability. At the start, the meanings of the 100 words will be taught. After that the tasks focus on training your ears to hear these words correctly. Learning to hear the 25 difficult sounds correctly is the first step toward learning to pronounce them correctly as well.